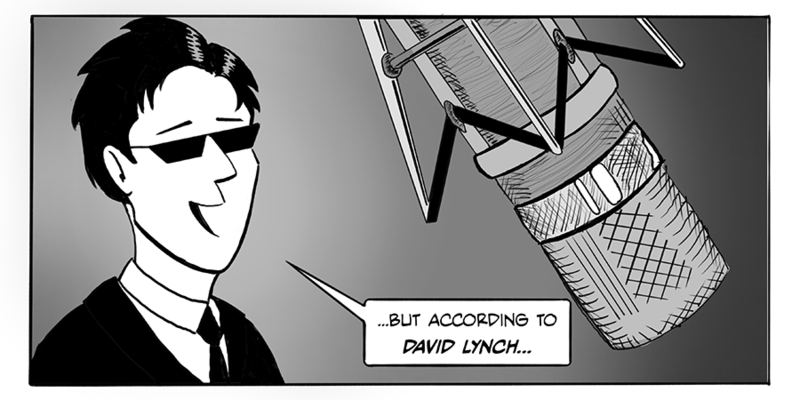 Panel 2 - ...people have watched Eraserhead. 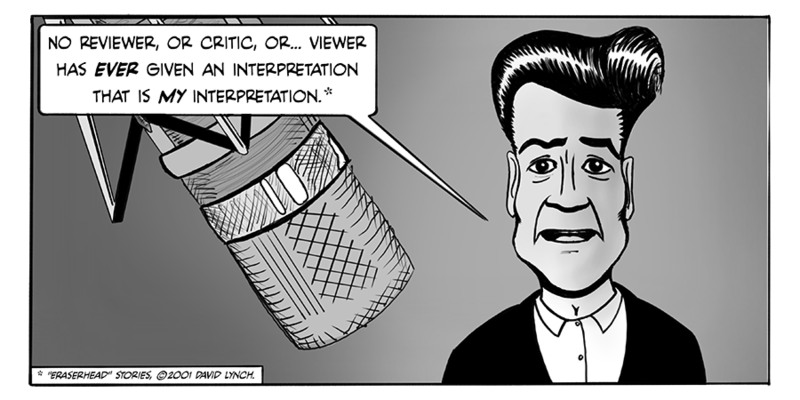 Panel 4 - "No reviewer, or critic, or... viewer has ever given an interpretation that was my interpretation." 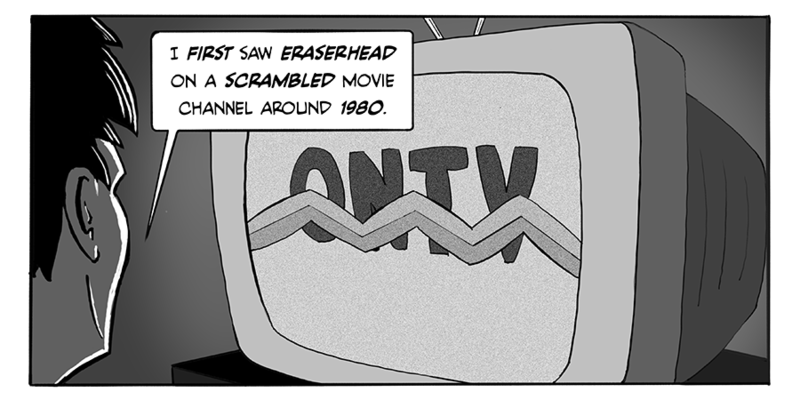 Panel 5 - I first saw Eraserhead on a scrambled movie channel around 1980. 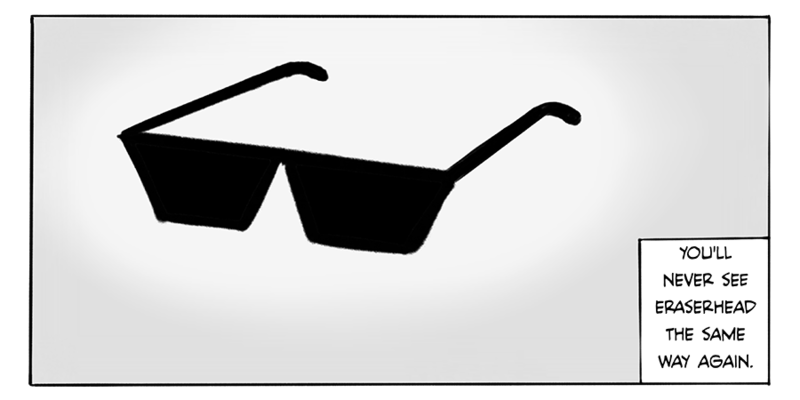 Panel 6 - I loved how crazy, funny, and weird it was. 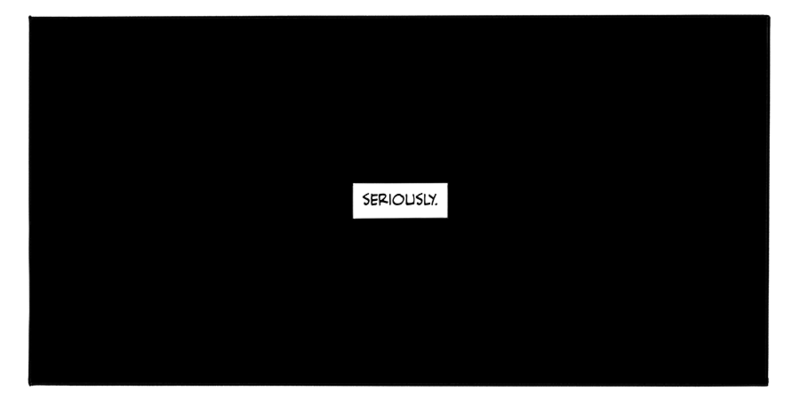 And I remembered almost every scene. 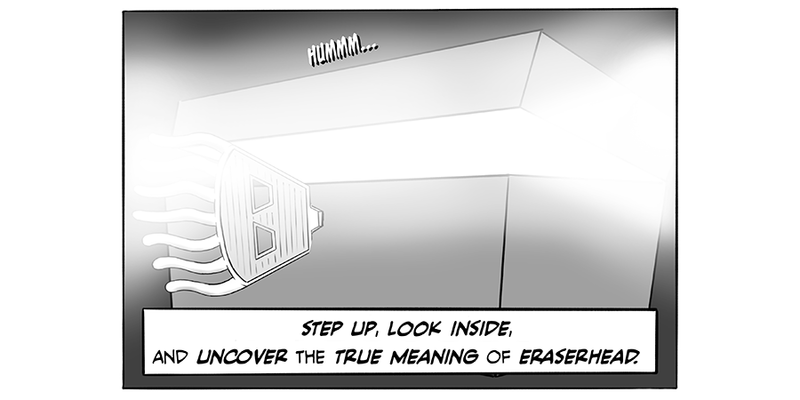 Panel 7 - In the 2000s, I saw it again an searched for Eraserhead's meaning. 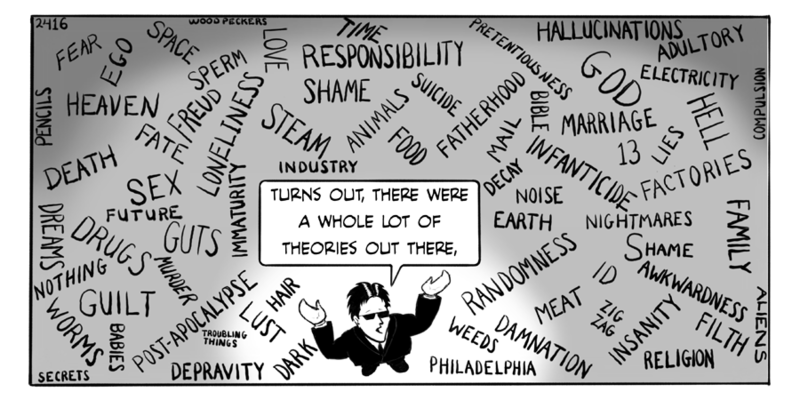 Panel 8 - Turns out, there were a whole lot of theories out there. 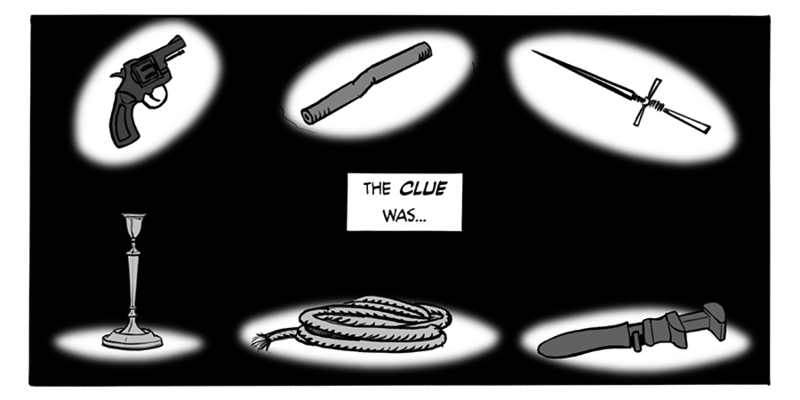 Panel 9 - But nothing really tied it all together. 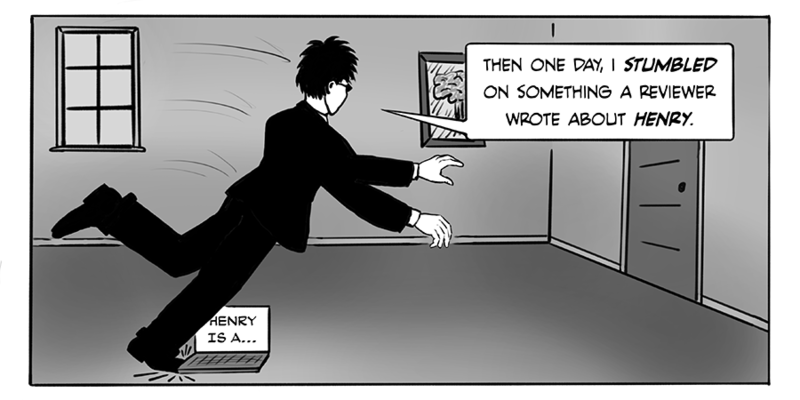 Panel 10 - Then one day, I stumbled on something a reviewer wrote about Henry. 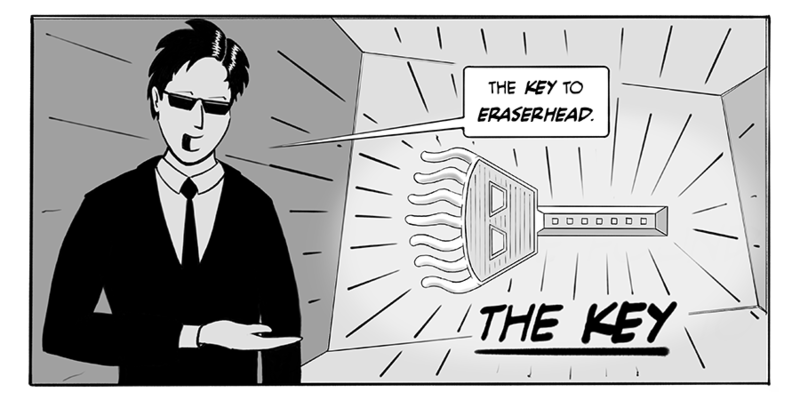 Panel 12 - The Key to Eraserhead. 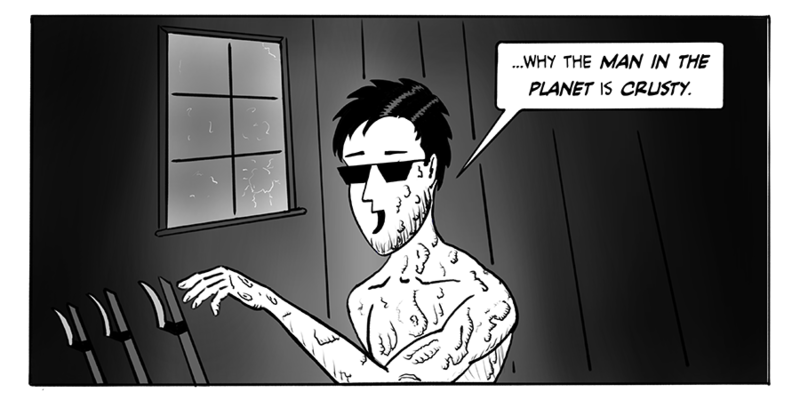 Panel 15 - ...why the Man in the Planet is crusty. 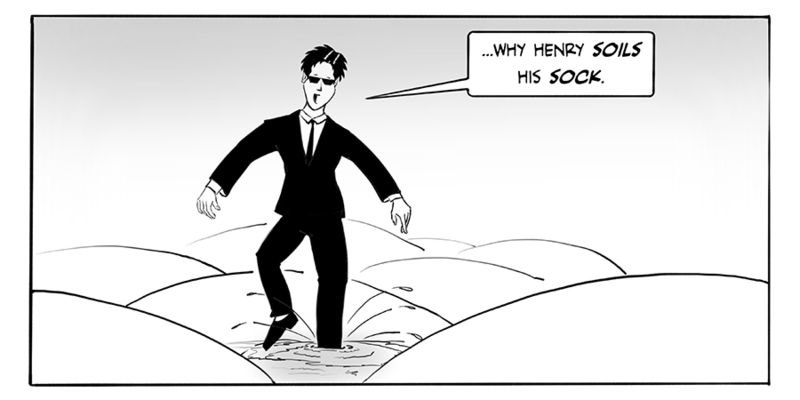 Panel 16 - ...why Henry soils his sock. 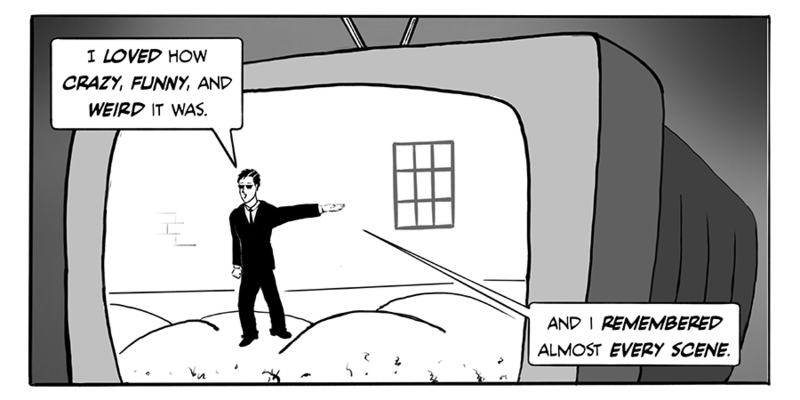 Panel 17 - ...why there are weeds on the dresser. 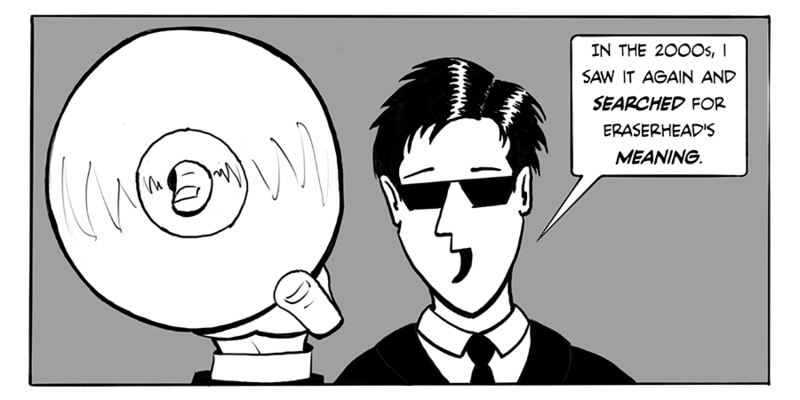 Panel 18 - ...what's up with the coin. 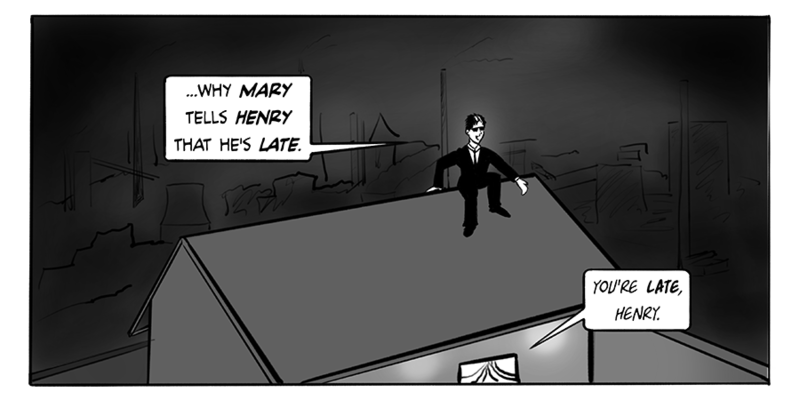 Panel 19 - ...why Mary tells Henry that he's late. 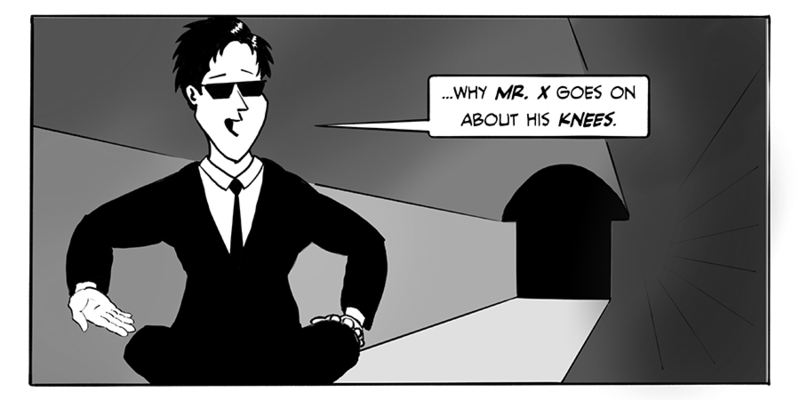 Panel 20 - ...why Mr. X goes on about his knees. 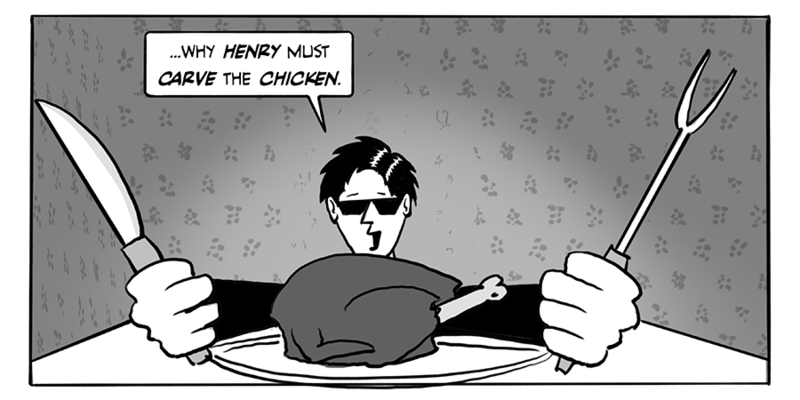 Panel 21 - ...why Henry must carve the chicken. 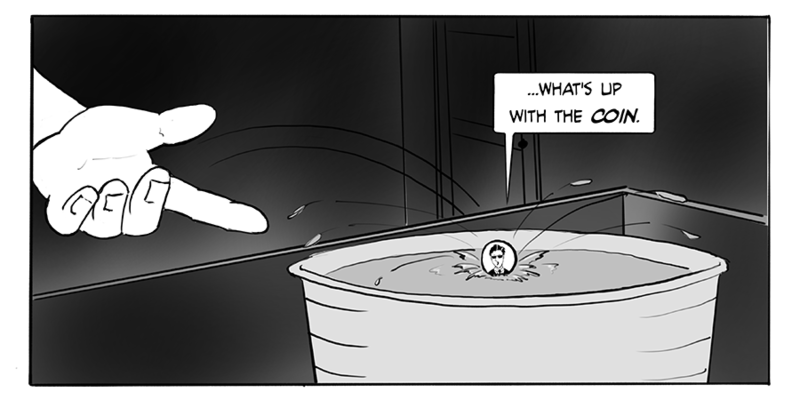 Panel 22 - ...why the chicken bleeds. 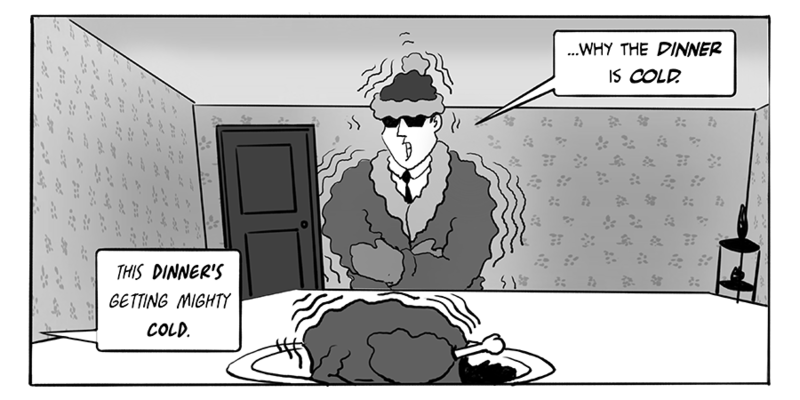 Panel 23 - ...why the dinner is cold. 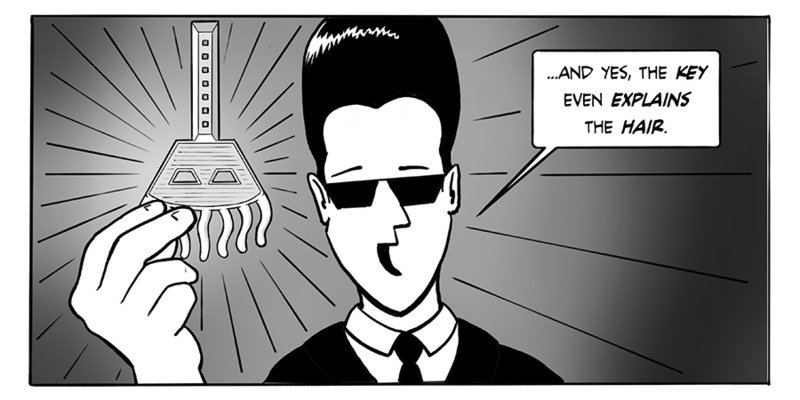 Panel 24 - ...why the lady is in the raditor. 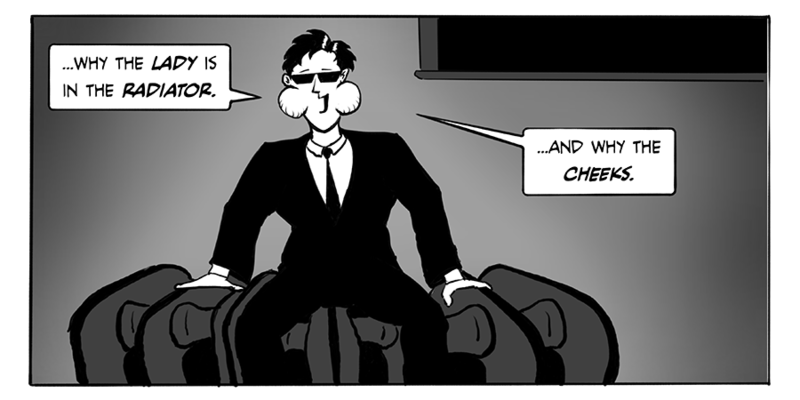 ...and why the cheeks. 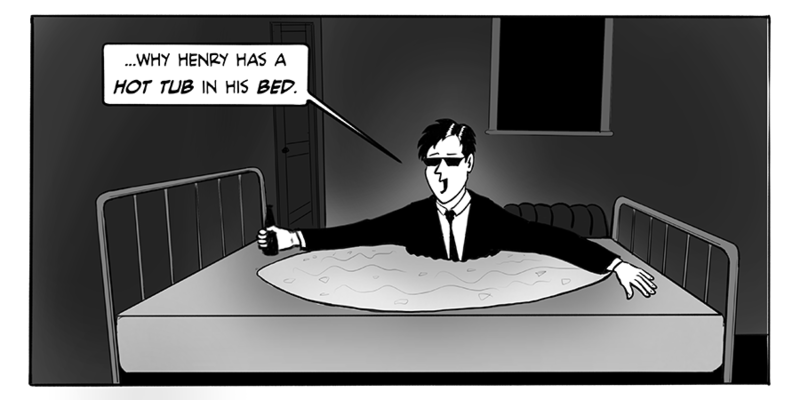 Panel 25 - ...why Henry has a hot tub in his bed. 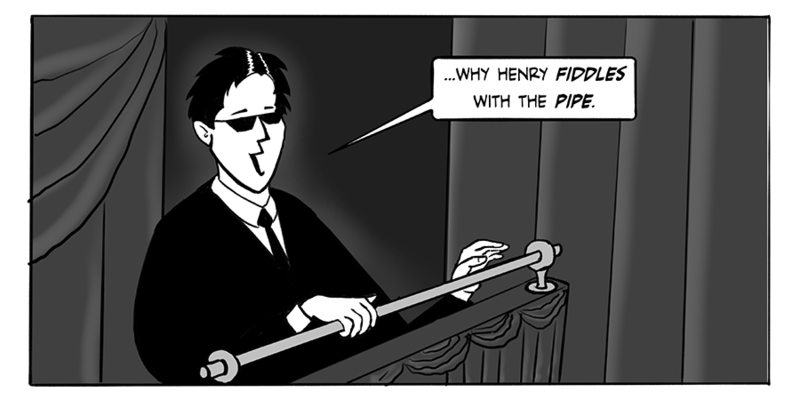 Panel 26 - ...why Henry fiddles with the pipe. 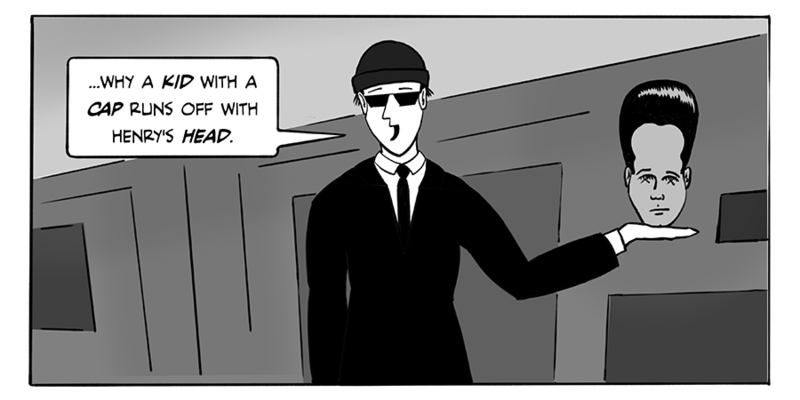 Panel 27 - ...why a kid with a cap runs off with Henry's head. 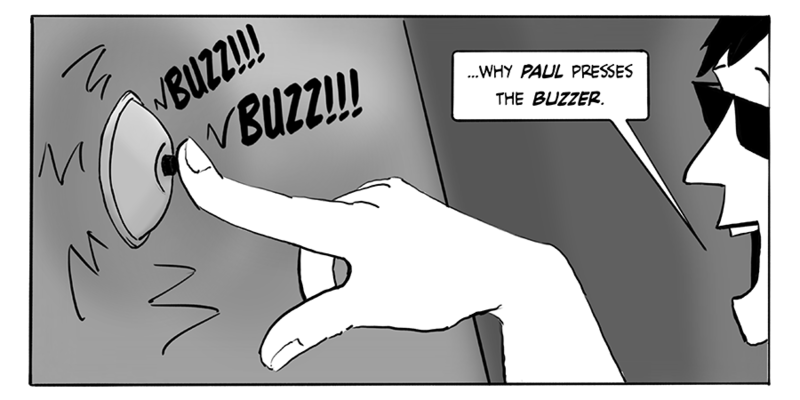 Panel 28 - ...why Paul presses a buzzer. 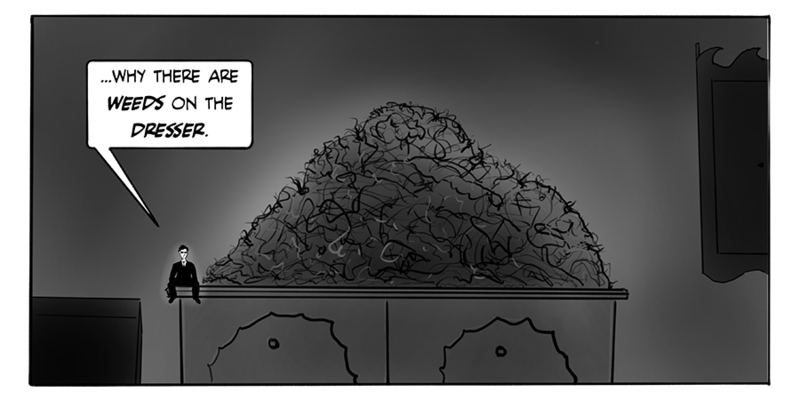 Panel 29 - ...why the baby becomes huge. 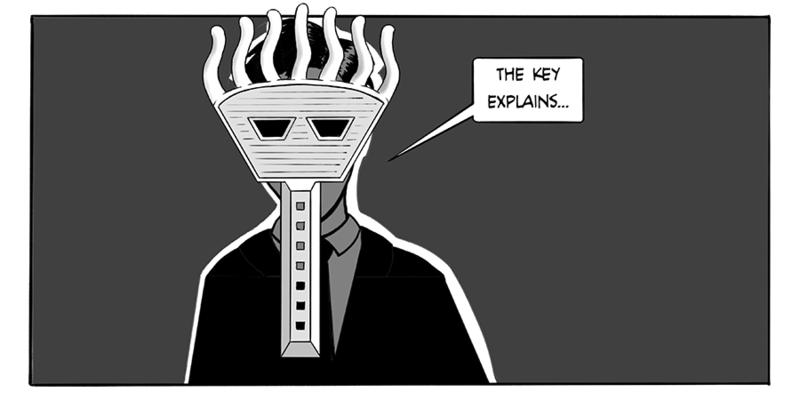 Panel 30 - ...and yes, the Key even explains the hair. 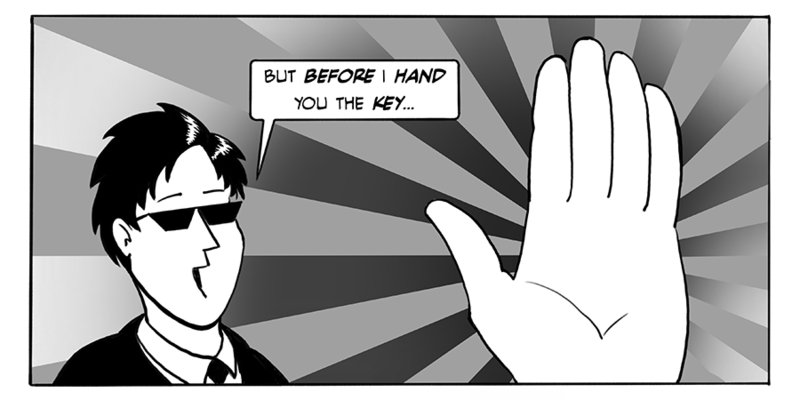 Panel 31 - But before I hand you the Key. 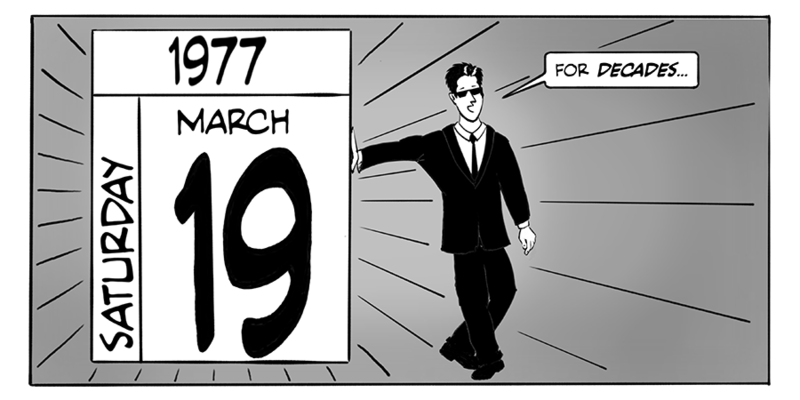 Panel 32 - Open your mind and dream the film one more time. 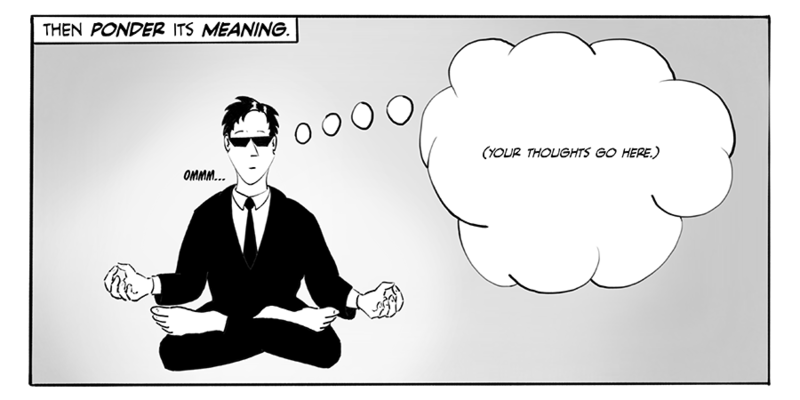 Panel 33 - Then ponder its meaning. 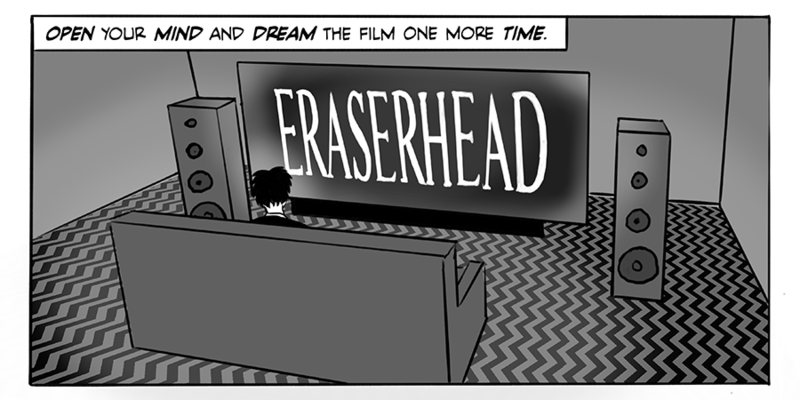 Panel 35 - You'll never see Eraserhead the same way again. Panel 36 - See the film. 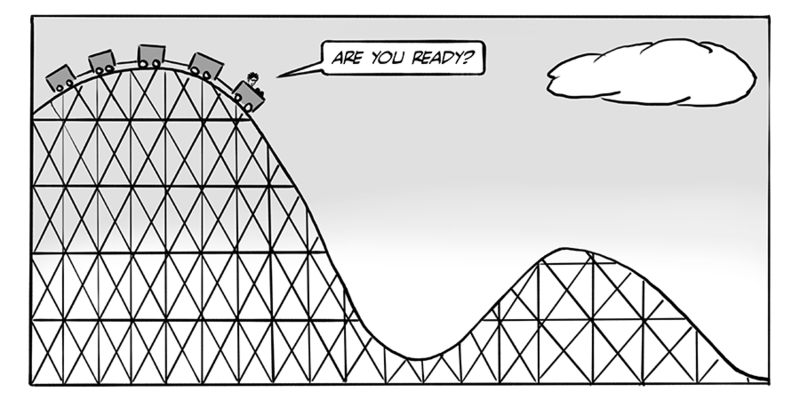 Panel 37 - Are you ready? 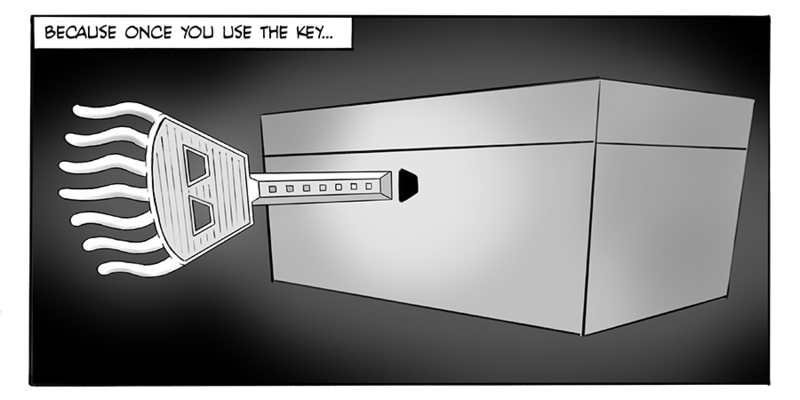 Panel 38 - "Buzz! 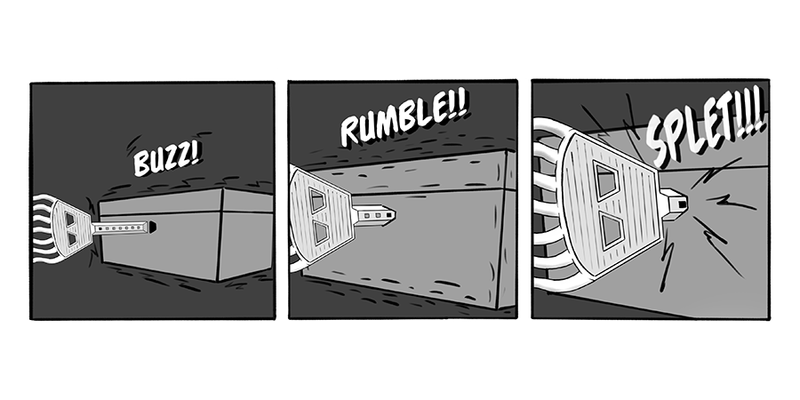 ", "Rumble!! 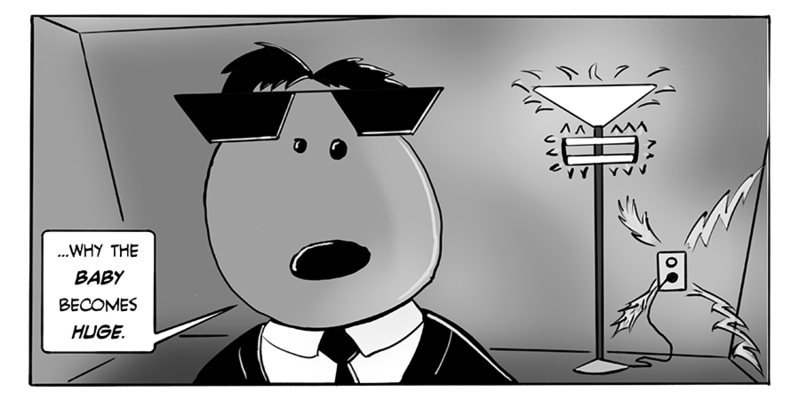 ", "Splet!!!" 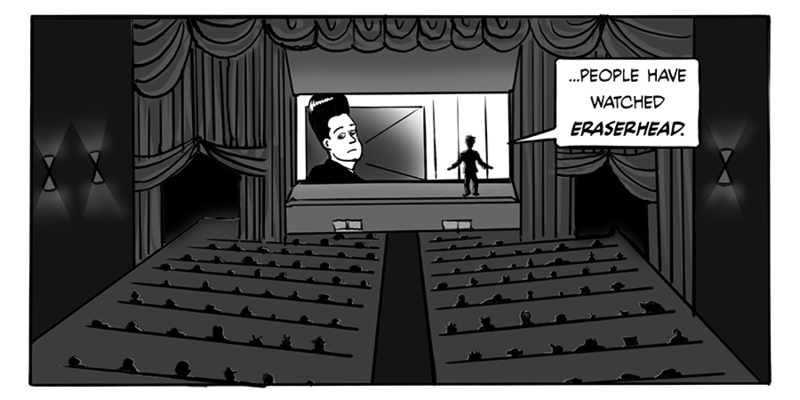 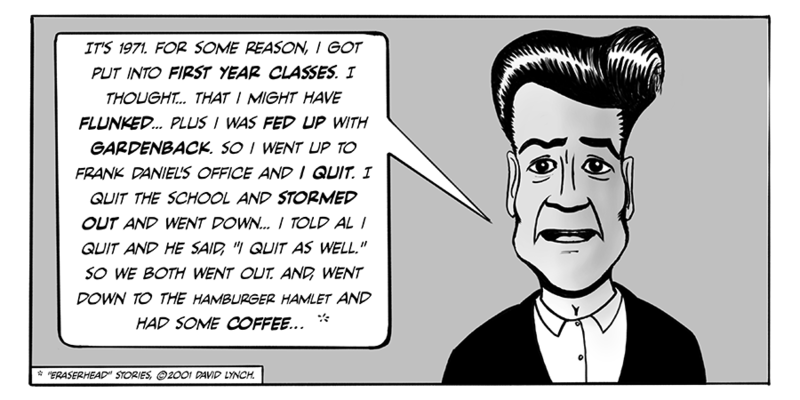 Panel 39 - Step up, look inside, and uncover the true meaning of Eraserhead. 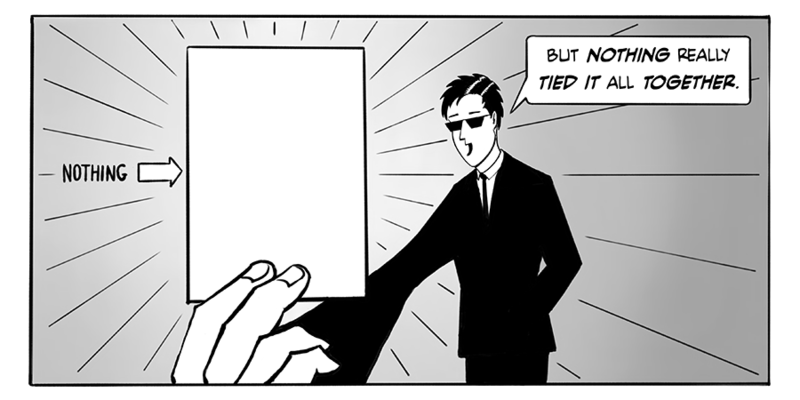 Panel 40 - When the hidden images from man's greatest work are revealed, the end is nigh. 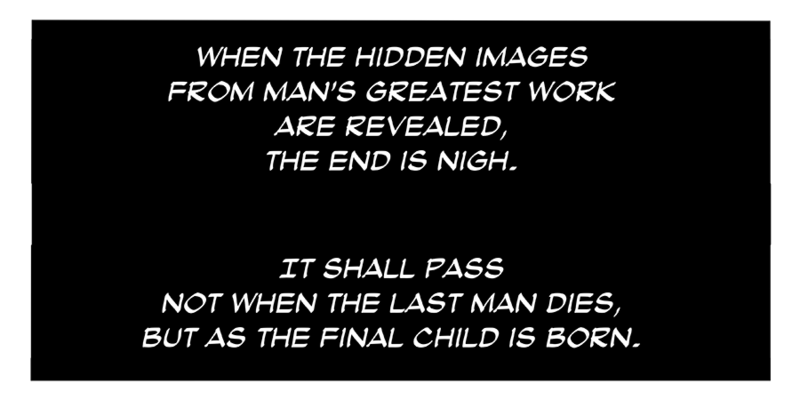 It shall pass not when the last man dies, but as the final child is born. 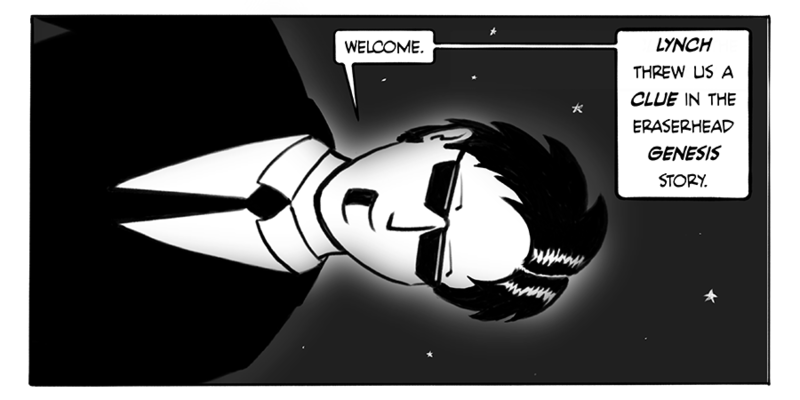 Panel 41 - Welcome. 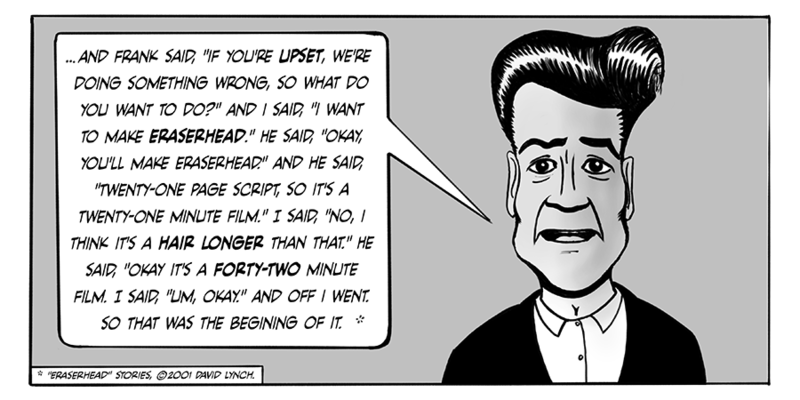 Lynch threw us a clue in the Eraserhead Genesis story. 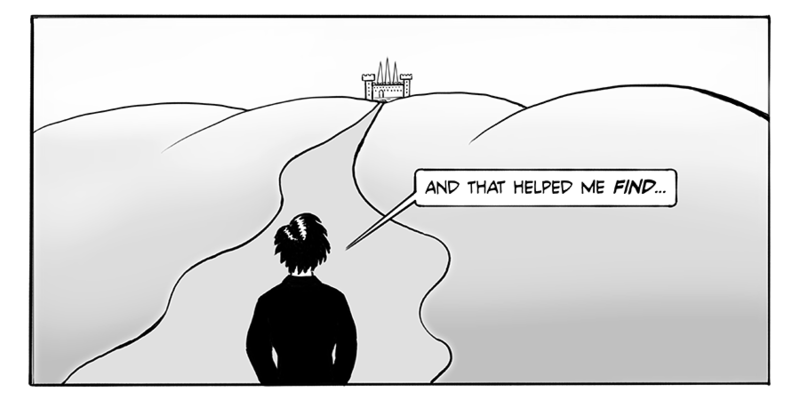 Panel 44 - and finished the story. 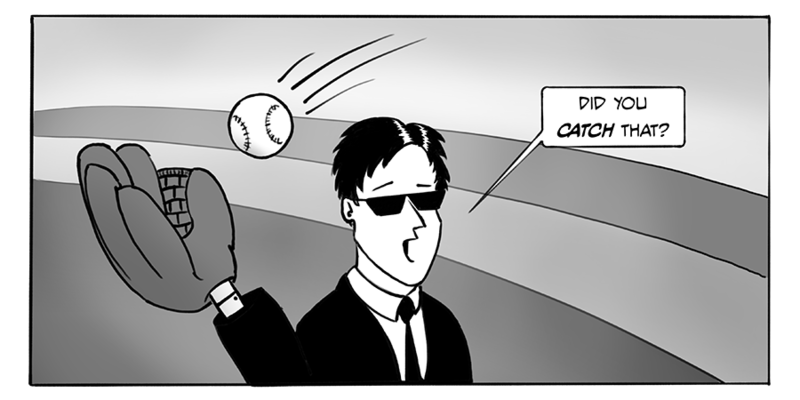 Panel 45 - Did you catch that? 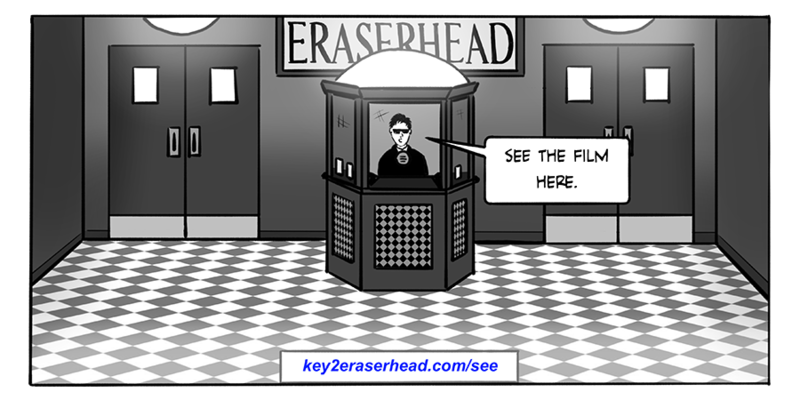 ...to continue reading, please buy The Key to Eraserhead.